Angela, I really enjoyed reading that. Thanks! Angela, thanks for your article. I’m glad your dad got to witness it, my dad died 2 1/2 years ago and missed out on this. We had loads of dinner time discussions where my dad would go on about how he couldn’t understand how David Murray could keep spending, my husband who is an accountant kept reassuring him that it would all go pear shape. 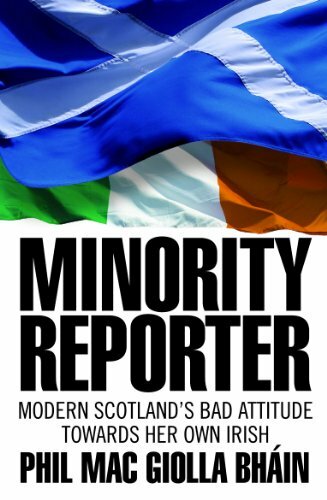 The things I have since read about Media House also have horrified me, turns out my dad wasn’t paranoid after all, the media were paid to discriminate against Celtic and Irish Catholics. My 3 year old daughter is a red head and I am horrified at what I have read people say about Neil Lennon because he is a red head. My daughter has the most beautiful hair and I am sure anyone who tries to discriminate against her is a fool. Fantastic piece of journalism from angela as usual her insight into the problems in scotland is so spot on. When exactly was it that the Irish were forced to sit at the back of buses in Scotland? I’m Irish myself and have been visiting Glasgow and the West of Scotland since the late 1960s : never once have I been asked to sit at the back of a bus. Perhaps you could be more specific on the piece of legislation that allowed drivers and conductors to enact this measure. 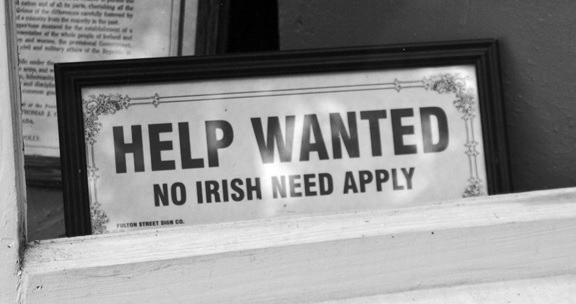 And, as most Scots, of Irish origin, look and sound just like other Scots, how could the bus Companys’ employees distinguish between those they were meant to discriminate against and those they weren’t?